I decided to shoot a little smoke when shooting one of the rollers. I wanted to use tobacco, but I was afraid that it would be difficult to get rid of the smell afterwards. If you can watch videos, then you do not need to read further. 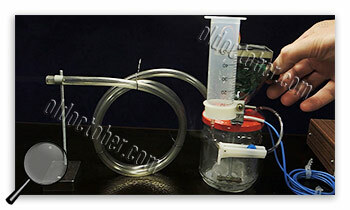 If you have two power sources, then such a smoke generator can be built in a couple of hours. But if you use one power source, you will be deprived of the possibility of operational density and the speed of the flow of generated smoke. 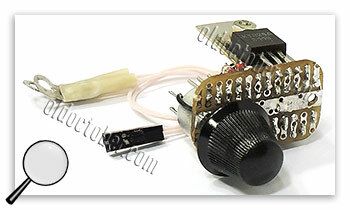 For the operational control of the amount of smoke and flow velocity, this simple fan control unit was built. 04 Diagram of electric control of the fan of the machine smoke. The electrical circuit was assembled on a piece of the breadboard from what was at hand. 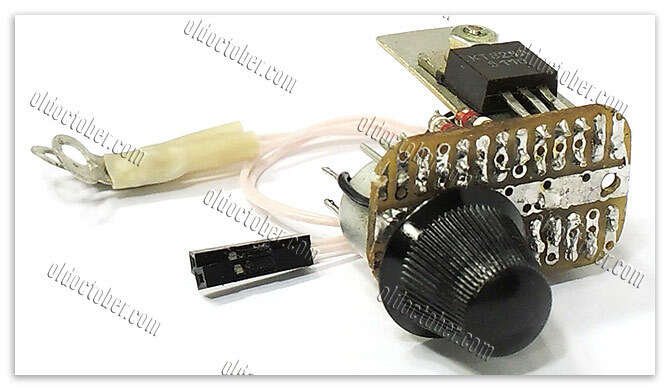 Probably, it would be possible to build a controller based on LM317 or any DC-DC converter chip. But I chose the scheme on a composite transistor, since it does not have a strict limitation on the maximum permissible supply voltage. And this already exceeds the maximum permissible values ​​of the input voltage of most popular microcircuits – stabilizers. Voltage of the same 24 Volts was selected, proceeding from the available in the presence of nichrome wire AMG24 (0,4мм). The template for spiral winding had a diameter of 10 mm. The smoke generator works as follows. Glycerin is poured into the evaporator chamber in such quantity that it can be absorbed into the cotton wool. 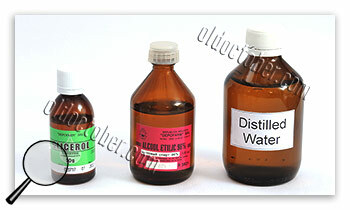 After warming up the spirals, which takes 5-10 seconds, glycerin begins to evaporate. 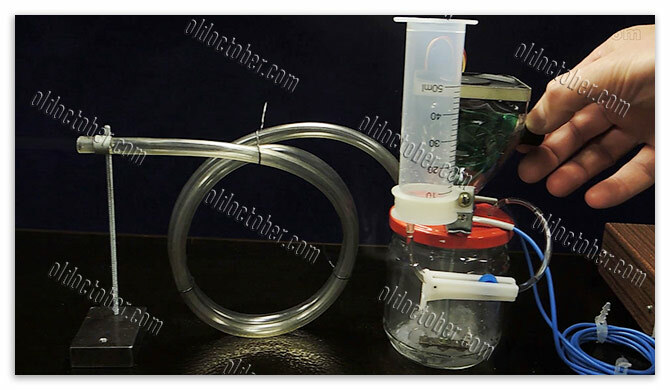 The fan through the air duct pumps air into the evaporator chamber, which mixes with the glycerine vapor and is discharged through the silicone hose. This hose allows you to send smoke to the desired part of the scene during photo-video shooting. Part of the glycerin settles on the inner surface of the hose and when it accumulates a lot, it can be drained back. 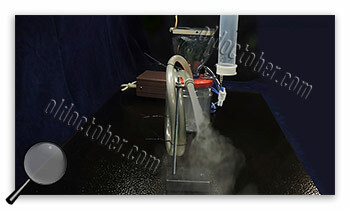 The amount of smoke and flow rate can be controlled by changing the supply voltage of both the whole unit and the fan. When the voltage on the fan decreases, the smoke becomes more dense, and the flow rate decreases. If you reduce the supply voltage of the entire smoke of the machine, the amount of generated smoke will decrease. All accompanying documentation, including the assembly drawing, is in the "Related documentation" section. I’m not a chemist and I can be mistaken about the proportions of the smoke of a fluid. 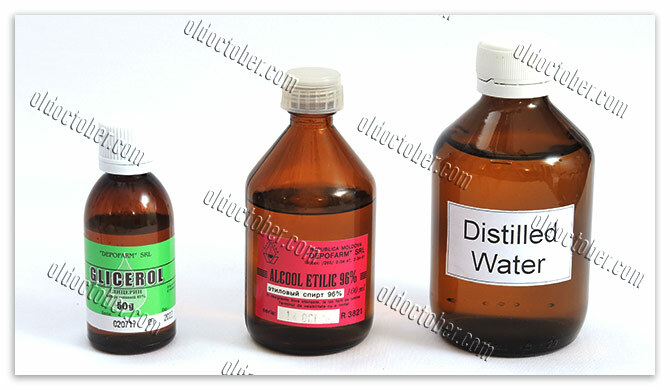 But from the recommended proportions: glycerin – 15%, alcohol – 10%, distilled water – 75%, for some reason I began to perspire heavily in the throat. So I used pure glycerin and did not experience any side effects. Attention! 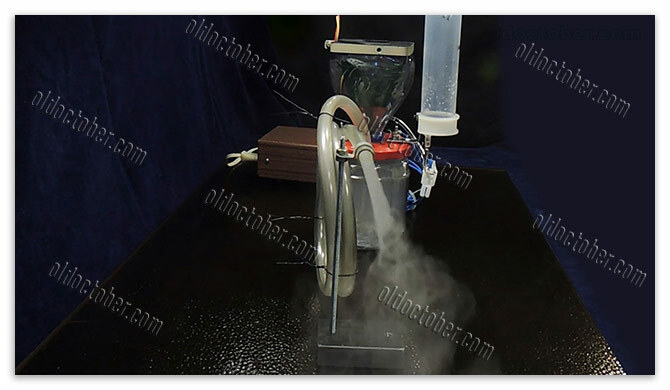 The use of a glycerin-based smoke generator results in the condensation of glycerin vapor on surrounding objects, mostly smooth and cold. For long-term shooting at close range, I recommend to screw the protective filter on the camera to avoid contamination of the front lens of the lens. Glycerin can be washed off with the help of warm water and any liquid detergent. This is an assembly drawing of the smoke of a machine, a drawing of a printed circuit board made on the basis of a breadboard, and drawings of templates.